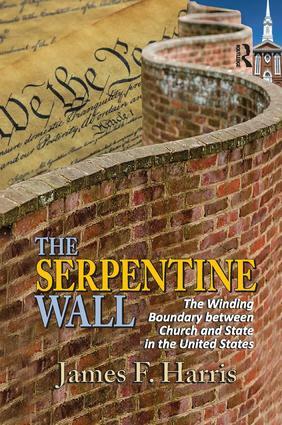 The Serpentine Wall is chronologically structured, befitting a history of church-state separation in the United States. It begins with a history of ideas approach to the European backgrounds and colonial American experiments in theocracy and freedom of religion. It covers pre-modern American debates about religious freedom among the founding generation right up through the nineteenth century. The final section of the book focuses on the separation of church and state and how this has become a matter determined by the Supreme Court.The resolution of the proper interpretation of the religious clauses of the First Amendment and the course of the boundary between church and state has been slow. Many changes that took place throughout the nineteenth and the first half of the twentieth century have influenced the increasingly circuitous route taken by the Serpentine Wall between the two. The result has been an increased focus on social issues involving questions of interpretation of the establishment and free exercise clauses of the First Amendment.The founding of the United States was a unique event in human history and the result of factors that are unlikely to be repeated. To understand the founding of a democratic country with a unique arrangement between church and state, it is important to view that development as both a product of and a departure from what had come before. Harris' interesting, unique, philosophical viewpoint will be important to those interested in how the roles of church versus state have evolved in the United States.